Experience the Heard’s most prized masterpieces, sweeping landscapes, poetry and personal recollections on an unforgettable journey through the Southwest and the vibrant arts and cultures of Native people. 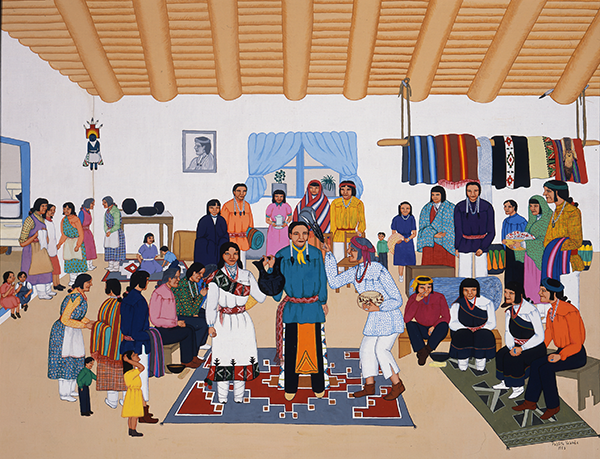 Quotes and interviews with artists and Native community members are interwoven throughout the exhibition reflecting on the importance of family, community, land and languages. Join us for an exciting trip through the American Indian Southwest, from the distant past to today. 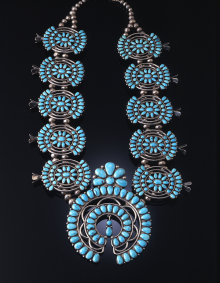 Nearly 2,000 treasures including jewelry, cultural items, pottery, baskets, textiles, beadwork and more. 500 Hopi katsina dolls on display from the Goldwater and Fred Harvey Company collections. 30-foot glass and clay art fence by Tony Jojola (Isleta) and Rosemary Lonewolf (Santa Clara/Tewa). Adjacent sculpture garden with native plants and trees. Interactive displays, video alcove and our signature production, HOME, in the Harnett Theater. Full-sized Navajo hogan, Hopi piki room, Yaqui ramada and Pueblo oven. 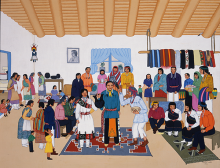 21-foot mural featuring a cultural portrait of the Yaqui people by Mario Martinez (Pascua Yaqui). Pablita Velarde, “Betrothal,” 1953. Heard Museum Collection. 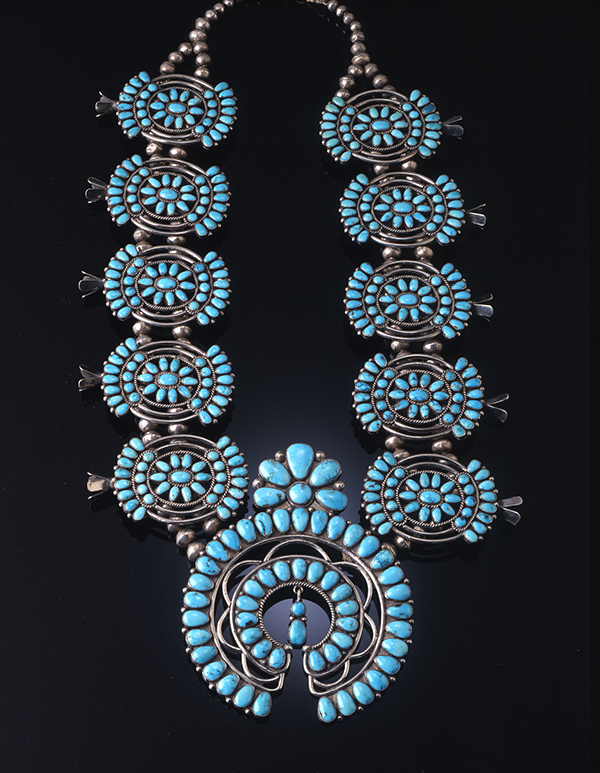 Zuni Necklace, early 1940s. Fred Harvey Fine Arts Collection, Heard Museum Collection. 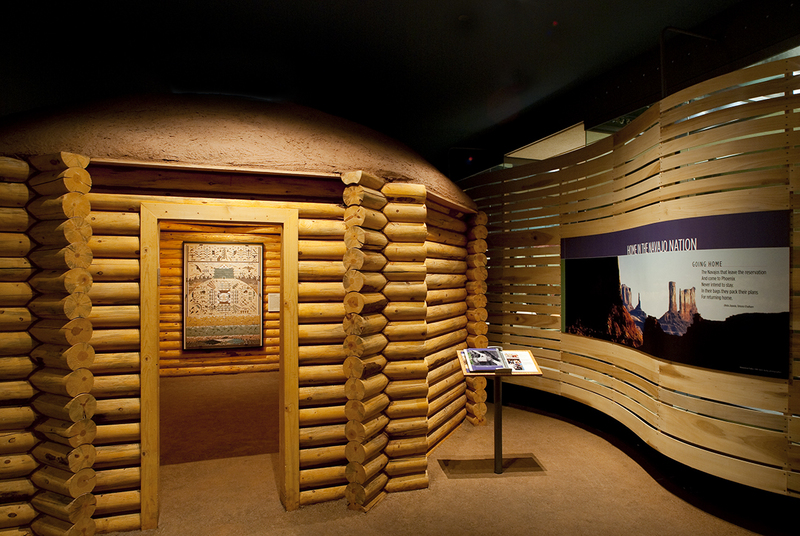 Museum visitors may view a Navajo hogan, made of cedar and adobe, which is a feature of the signature exhibit "HOME: Native People in the Southwest."